If you are similar to us, taking on projects like properly maintaining your own pool equipment can raise a few difficult but interesting challenges that stimulate that problem solving part of your brain. 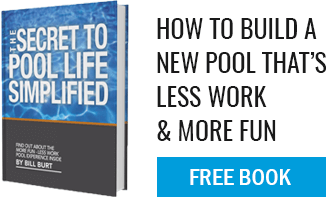 For the do-it-yourself pool owners out there, here is a quick tutorial on one of the more laborious yet necessary pool maintenance tasks: cleaning a cartridge filter. Before you begin, take a photo of your pressure gauge and all components so that you can remember what the correct resting pressure should be and what the filter system should look before you turn it back on. It is a good idea to take pictures throughout the process of taking it apart so that you can easily retrace your steps when putting it back together. After turning off your entire pool system, slowly drain the water out of the filter by turning the air relief valve on top of the cover. Once completed, undo the clamp that is holding the top of the tank to the bottom. Lift the top off and you will see the filter element. Next remove the filter cartridges. If there is a part holding them in place like a long bolt, remove it. Refer to your specific model’s manual for details on cartridge removal. Inspect them thoroughly for cracks or tears and purchase replacements for any that seem even moderately damaged. Use a specialty cartridge degreaser designed for this purpose and coat the cartridges. Allow them to soak according to instructions on the specific degreaser and then use your garden hose to rinse them off. Once you have rinsed the cartridges clean, follow the same steps to put it back together as you did to take it apart. Once all components are assembled, turn on your system and open the air relief valve at the top of the tank. You will know you have bled off enough air when water sprays out of the valve. Check to make sure your pressure reading is correct and you will be all set. If you turn the system back on and the pressure is off, give us or another pool service company in the area a call to help diagnose any potential issues. The most important thing about taking on your pool equipment maintenance is to just take it slow and remember that there are always professionals nearby that can help you out if you get in a jam. Pool equipment maintenance can be a very enriching experience and will make you appreciate your crystal clear pool water even more.